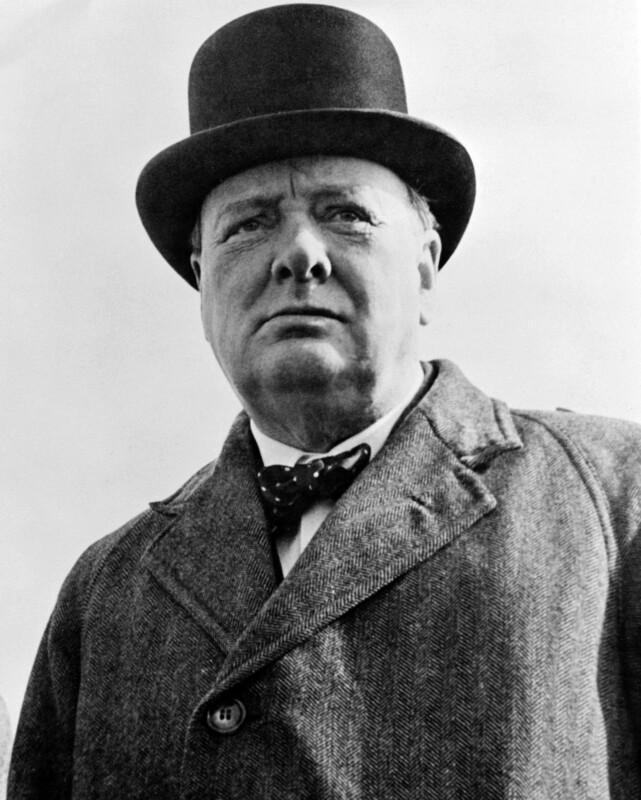 Winston Leonard Spencer-Churchill, Prime Minister of the United Kingdom, was born 30 November 1874 in Blenheim Palace, Woodstock, Oxfordshire, England, United Kingdom to Randolph Henry Spencer-Churchill (1849-1895) and Jeanette Jerome (1854-1921) and died 24 January 1965 in London, England, United Kingdom of unspecified causes. He married Clementine Ogilvy Hozier (1885-1977) 12 September 1908 in St. Margaret's, Westminster, Westminster, England, United Kingdom. Notable ancestors include Charlemagne (747-814), Henry II of England (1133-1189), William I of England (1027-1087), Hugh Capet (c940-996), Alfred the Great (849-899), Willem van Oranje (1533-1584). Ancestors are from the United Kingdom, France, Spain, England, Germany, Russia, Ukraine, Belgium, Portugal, Hungary, Ireland, Israel, the Netherlands, Belarus, Italy, Turkey, the Czech Republic, Switzerland, Lithuania, the Byzantine Empire, the United States, Sweden.